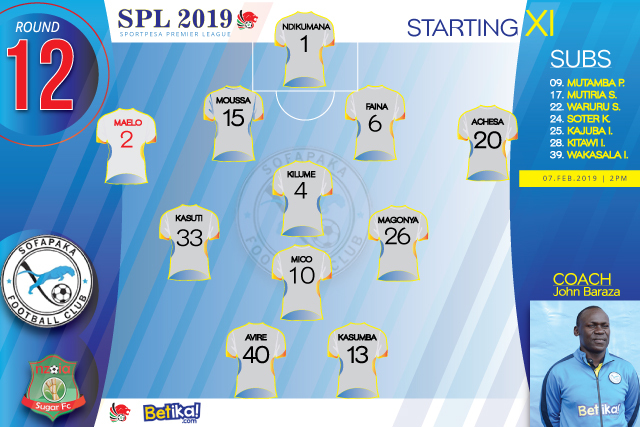 This is how we lineup for today’s match against Nzoia fc at Kenyatta Stadium, Machakos on Thursday 07th February 2019 for the Sportpesa Premier League Championship. Coach John Baraza leads the technical bench. ← WHO IS IN AND WHO IS OUT OF NZOIA TIE?